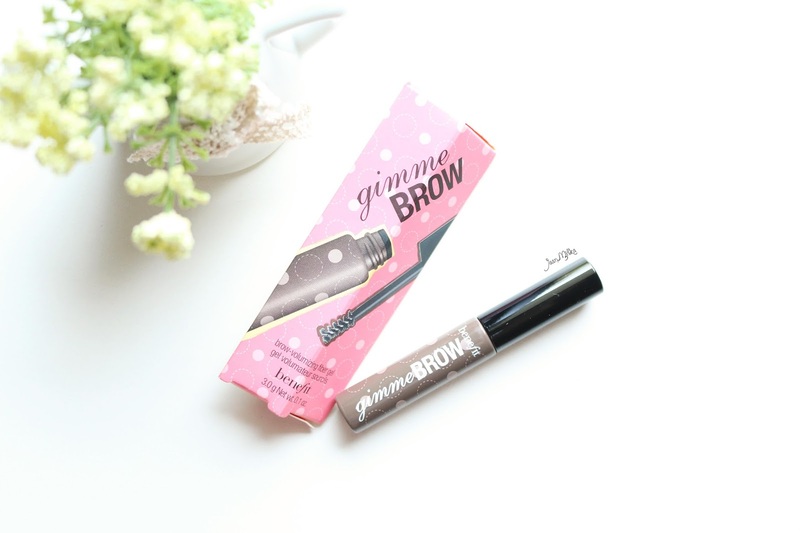 One of the product that I got is Benefit Gimme Brow. 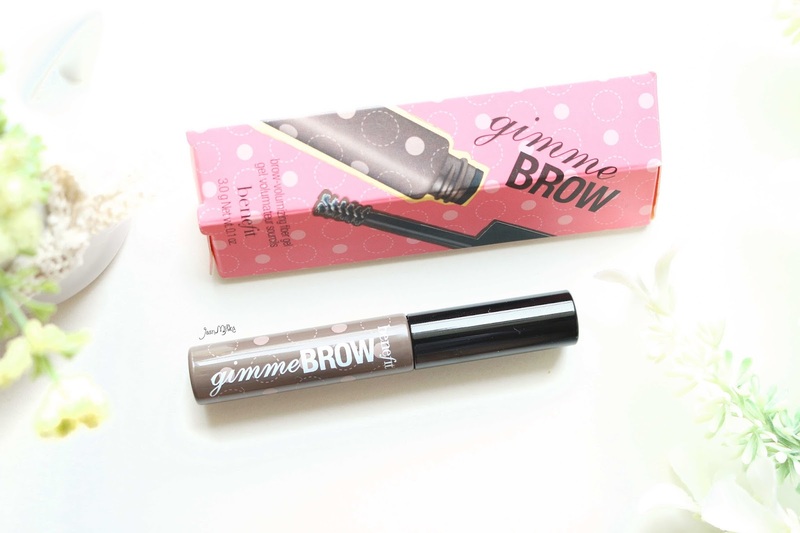 Benefit Gimme Brow is a tinted brow mascara. This is my second tube of it. This explain how much I love it #JeanMilkaFaves. 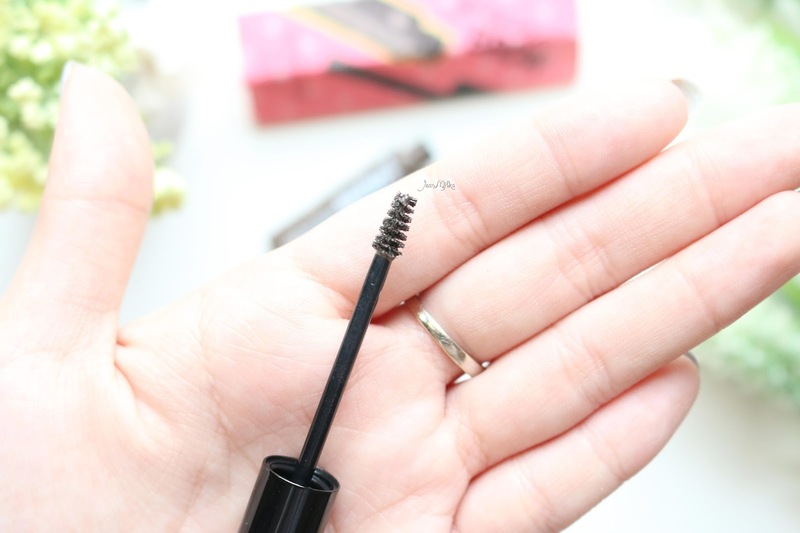 This is the first brow mascara I have ever tried. First time I learned about makeup, I have no idea how to shape my brows. I know this product from Jen. Because I didn't know how to draw the perfect eyebrow, I think it's better for me to try a tinted brow gel. 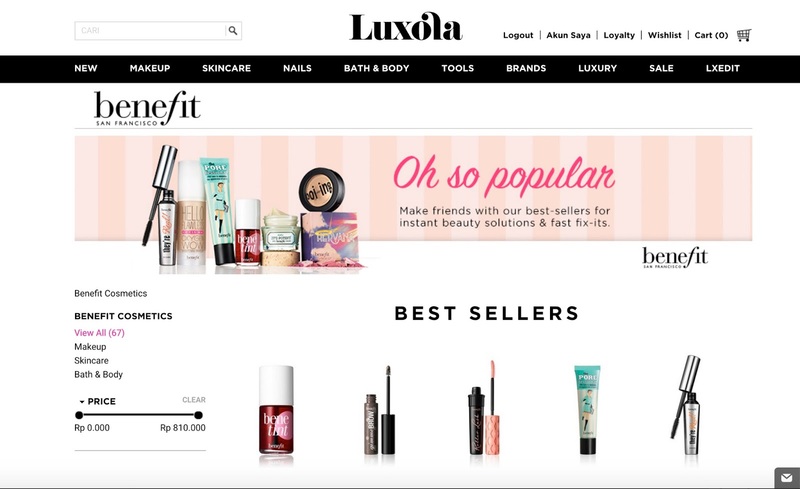 Benefit Gimme Brow is just as big as palm size. 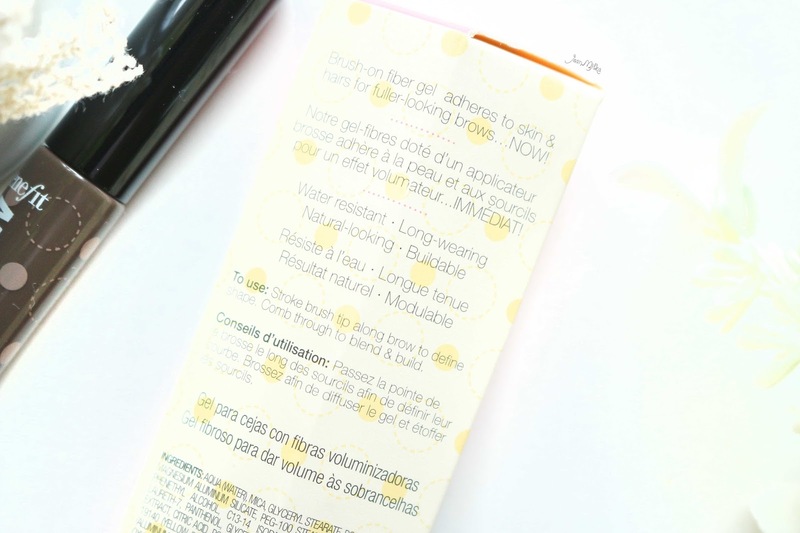 The applicator is very small and perfect to reach every edges of your brows. The product itself is a fiber gel consistency. Because of the fiber on it, it works wonder in volumizing my brows. It comes in 2 color : light/medium and medium/dark. Mine is medium/dark. 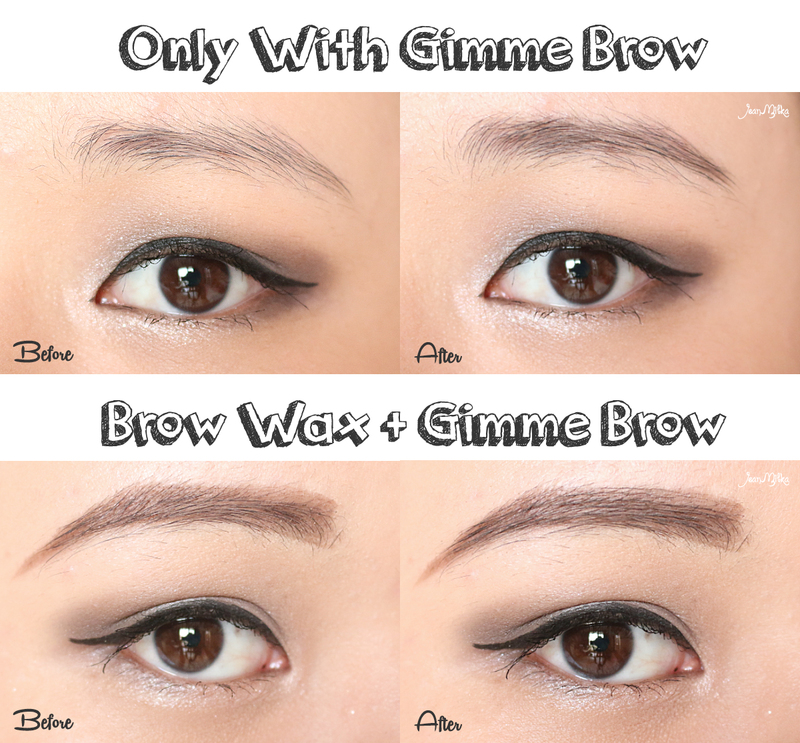 The result of using Gimme Brow is very natural. 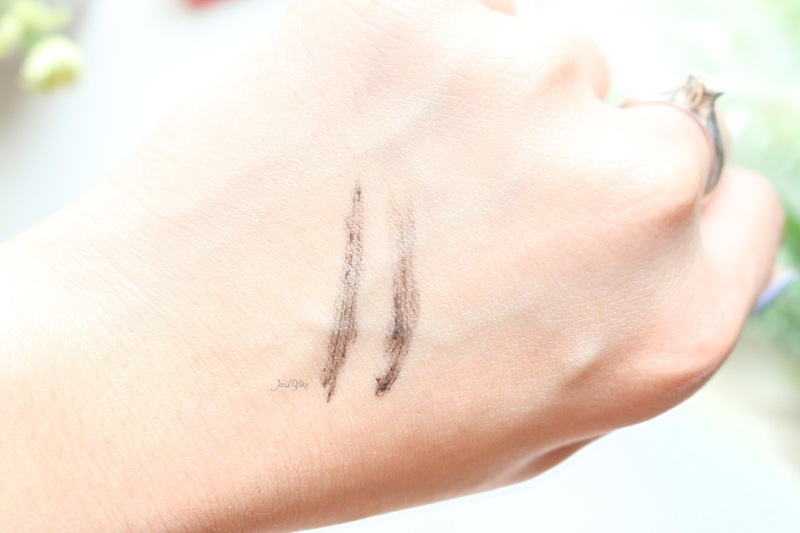 As you can see from the picture below, with only the Gimme Brow itself the result is pretty good and you can go out with it for a "No Makeup" makeup look. I also like to using it along with other brow products, either brow powder or brow wax. It makes my eyebrow looks more natural and set my brow in place all day long. Overall, I really like this product expect for the price. It's quite expensive in my opinion. But it's actually last for a long time. I have mine for over a year now before I need a new one. 2 komentar on "Benefit Gimme Brow Review and Swatch"